There was a time, seven years ago, when I was enthralled by the idea of fashion in New York. When Fashion Week came around I would peer into the tents of Bryant Park and Lincoln center and wonder what the fascination was about, what was hiding inside one of those tents. I knew that I wanted to be in there and it was just a matter of time before I found my way inside. My time came last year when I was asked to cover for a fellow photographer on a job he couldn’t do – to be B. Michael America’s house photographer. "Just shoot the girls getting ready, the celebs in the front row and get the runway shots,“ he said. I told him, "OK!”, and bought my first monopod, ready for whatever was to happen. 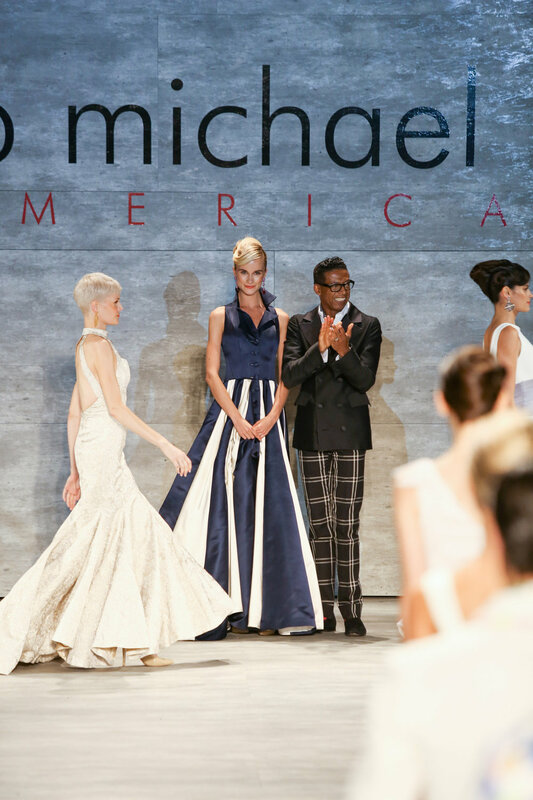 Now on my second year as B.Michael America’s house photographer for their seasonal fashion shows – this past week I shot his Spring 2015 line at The Pavilion at the Mercedes-Benz Fashion Week at Lincoln Center. I arrived just as the girls and massive crew of hair and makeup did. A sea of hair and makeup supplies, four artists per one blasé model, who all appear to be bored and annoyed at the constant pulling, teasing, and prodding they have all been enduring the entirety of the week. I observed and captured the long brush strokes, massive teasing and major applications of makeup being applied in a steady pace towards show time. 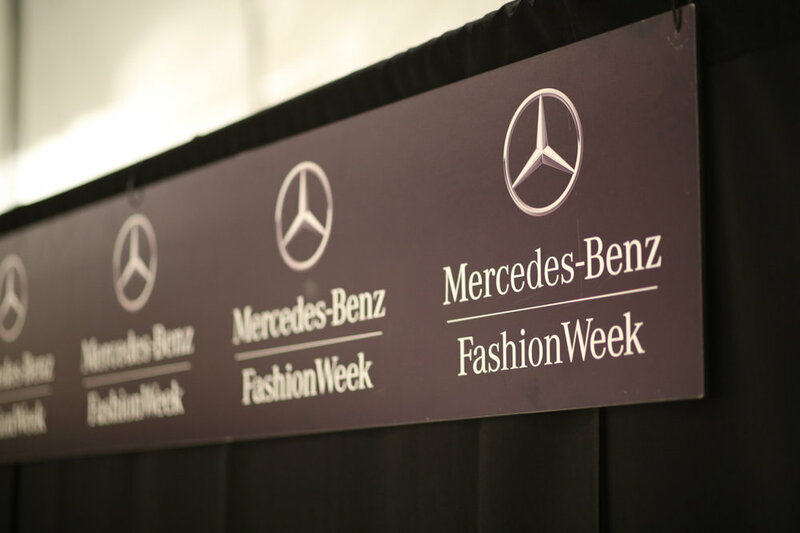 As soon as wardrobe arrives and the teams of stylists were organizing and arranging each meticulous outfit for each specific model, I ventured out to the show area and marked my spot within the pit. I knew that close to showtime, my chances to find my spot and elbow my way in would become slim. As soon as the doors opened to allow for the sea of hungry viewers in, I frantically made my way through the crowds to capture images of the VIPS and front row attendants – those famous in the fashion world and beyond. We are moments to the start of the show – people are corralled into their seats, front rows asked to keep their legs uncrossed for photos. I make my way into the pit. A sea of sweaty men, who too are bored and quite aggravated by this late hour of the day. The show begins and for the next 15 minutes it is a chatter of clicks and making my focus marks trying to keep in mind what B. had told me previously about the important dress aspects to capture – sleeves, hats, earrings, open backs… It’s a whirlwind. The high of the day was night quite over. By this time it was nearing 11pm and I had to venture back down to my office to edit the images and send them out to the client – haste makes waste! I made them out in time…. yet another end to a successful show. To see all of my images used as their lookbook, visit bmichaelamerica.com.